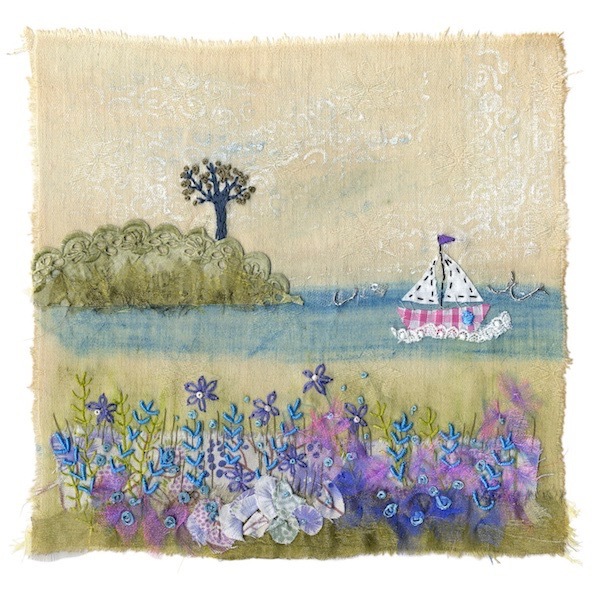 Join Julie to escape from your busy hectic life and spend a day exploring your creative side. 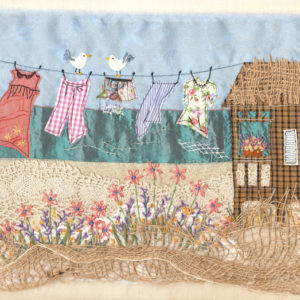 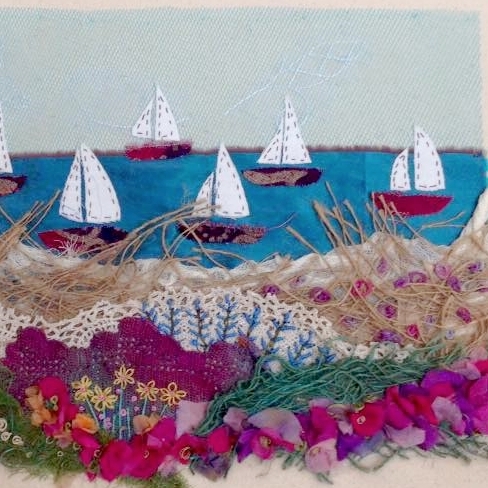 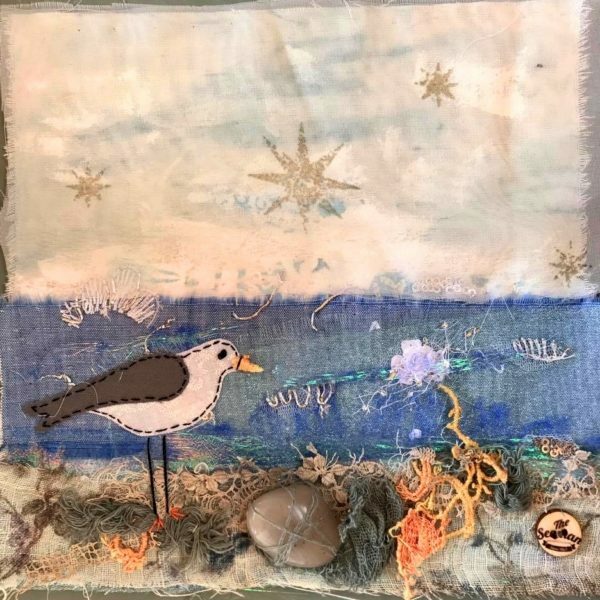 A selection of seaside images will be around to inspire you along with many examples of Julie’s work. 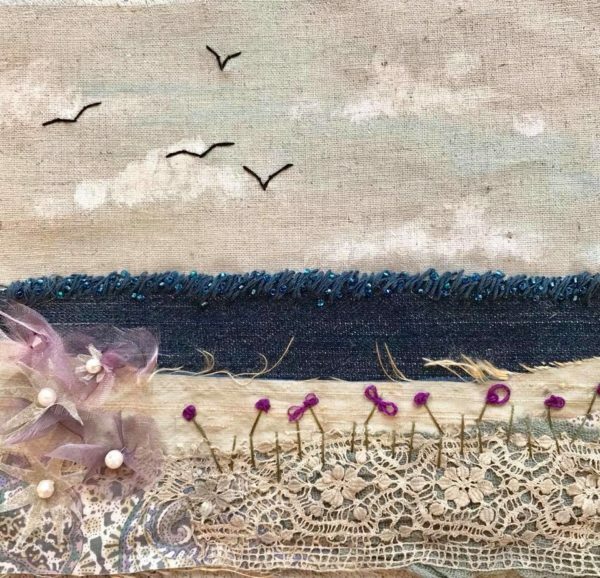 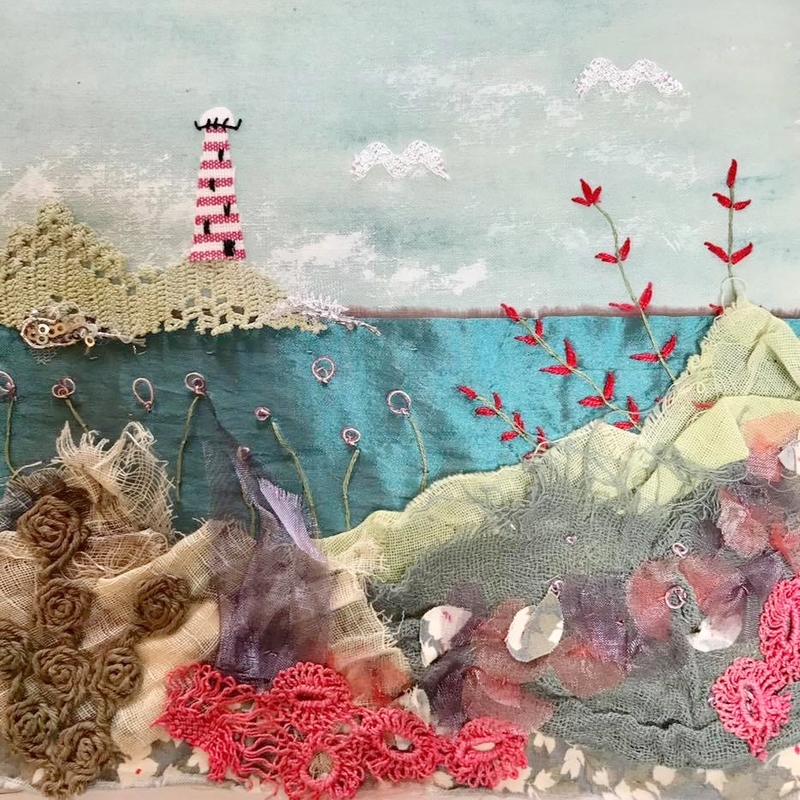 You will learn how to build up layers of fabric to represent a known landscape. 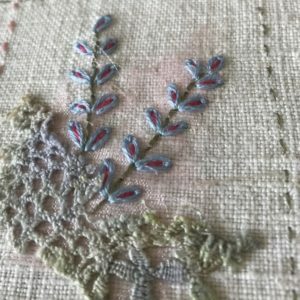 These designs can be as simple or complex as you like. 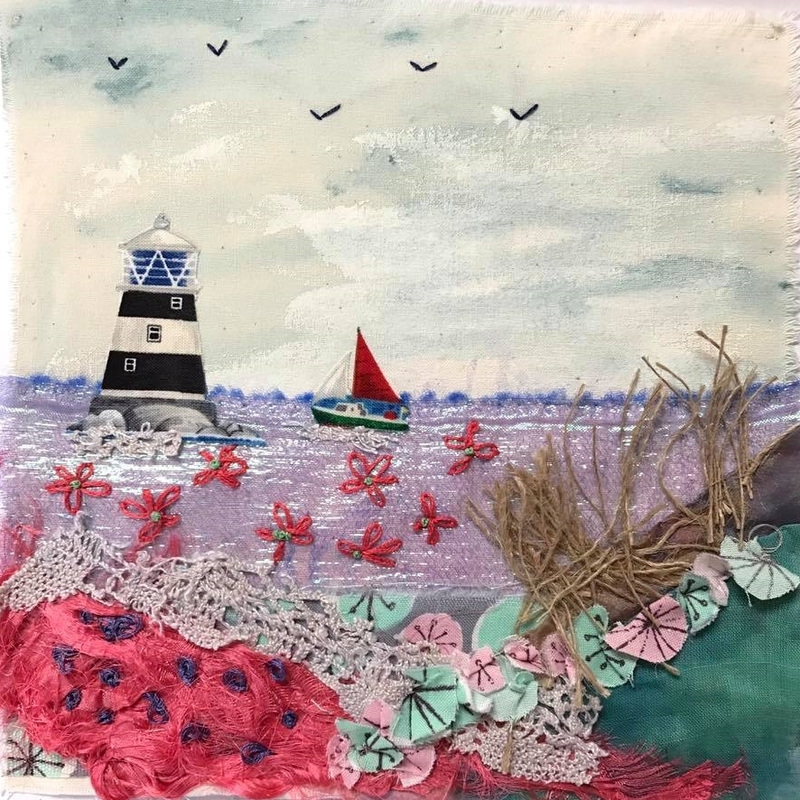 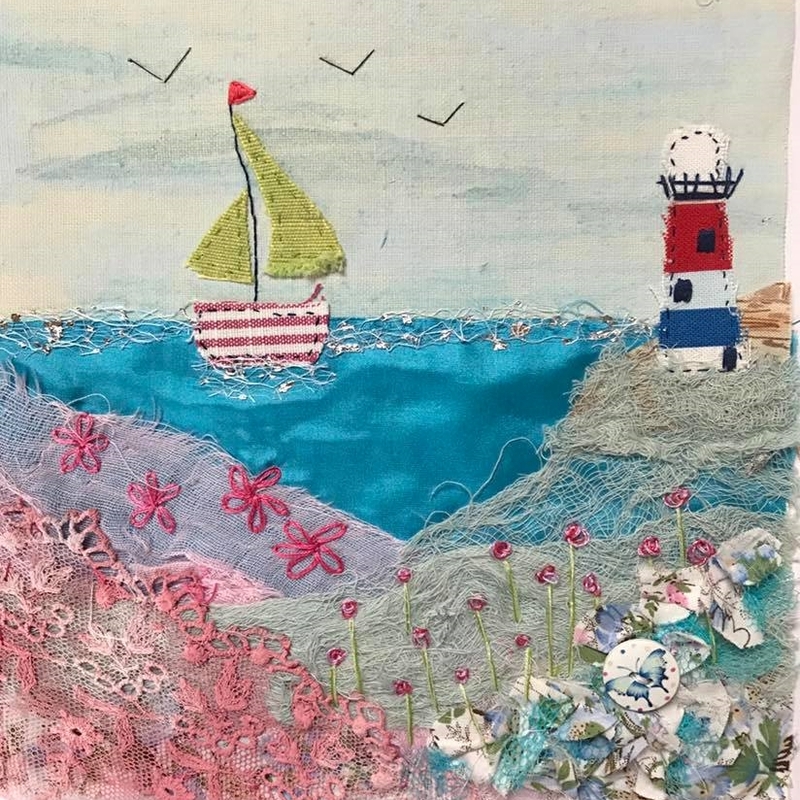 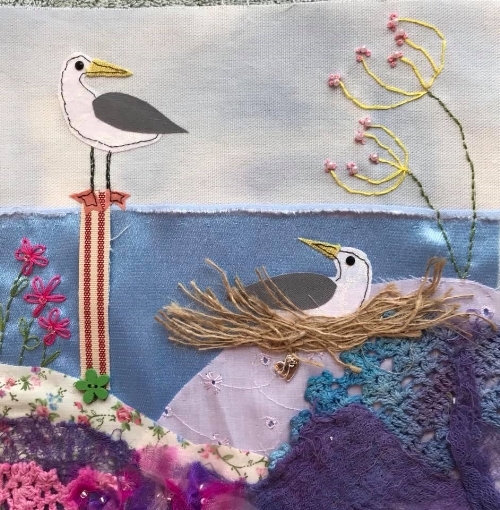 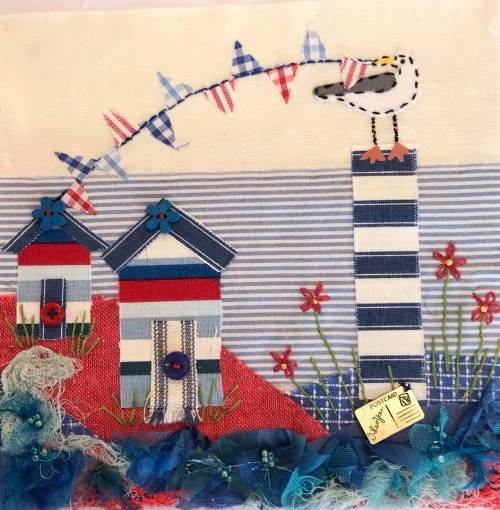 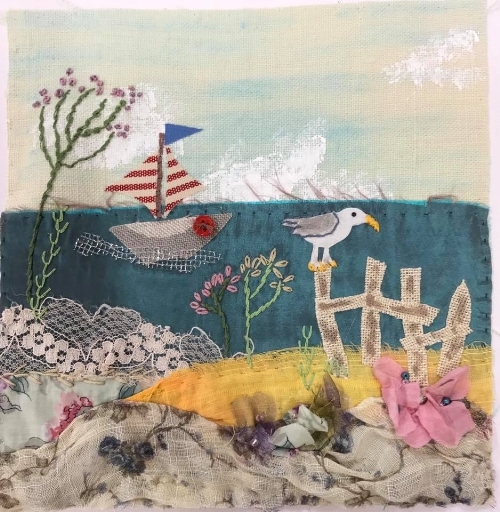 This is a hand stitched workshop- you can build your picture up with applique fabrics first then embellish using hand embroidery, buttons and words. 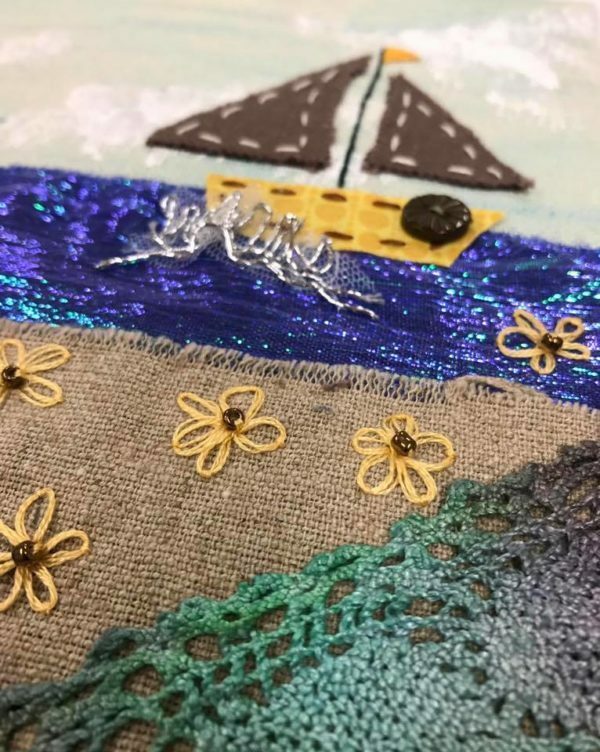 Different techniques will be demonstrated throughout the day as your work progresses. 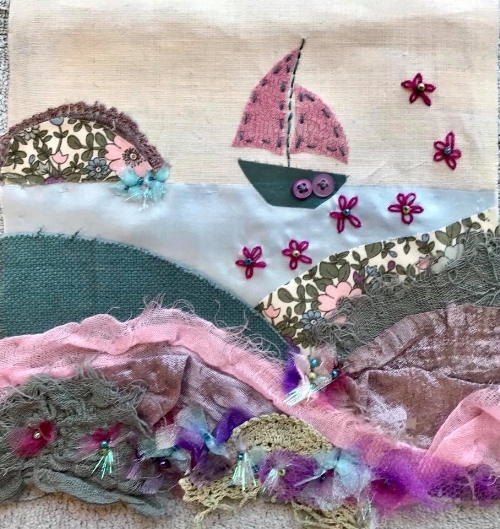 You will be shown various ways to mount your work and will leave feeling like you’ve recharged your batteries after totally immersing yourself in a creative escape. 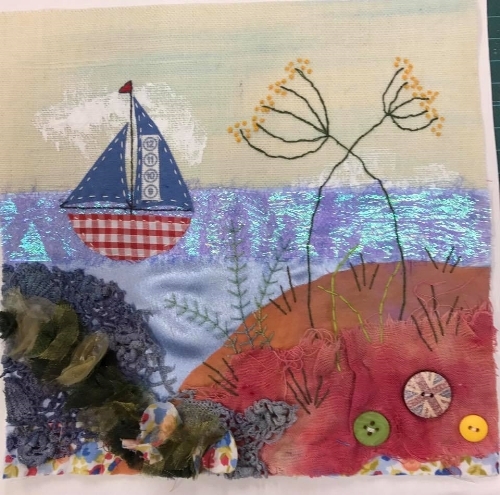 This workshop is suitable for all levels, sometimes even the simplest designs can look the most effective. All materials are included in the workshop, so much more fun to delve through some one else’s stash! 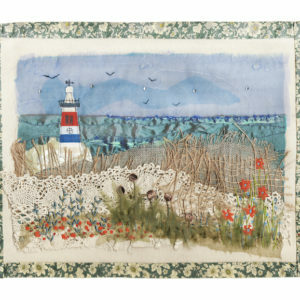 The workshop starts at 10am and finishes at 4pm.